Share your experiences with Pulsar 180? Q. What is the full service charge of Pulsar 180? If u go to authorized they will cahrge 2 to 2500 with oil.. of u go to private mecahnic they will cahrges upto 1000 to 1200 with oil... its depends on the bike fault. Q. I am confused to select one bike between Pulsar 180F, Pulsar 220F and Honda Hornet 160 cc. In my case, 220F is bit heavy when I compare with my weight and now the confusion is in between 180f and Hornet. Can someone suggest Which will be good? Q. 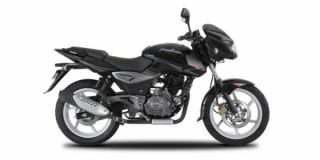 Does the pulsar 150 can go for a long ride which is about 300 kms? Q. Which is better among Pulsar 220F and Pulser 180F? Q. Whether to choose Pulsar 180 or Yamaha FZ-FI V3? Q. What about the indicator switch? Confused about Bajaj Pulsar 180?